Attorneys who will fight to ensure that your story is told and justice is achieved. 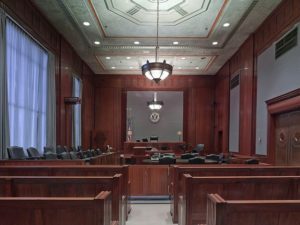 Get the support you need in the courtroom with legal representation from the Attorneys of Jackson & Parkinson. Lawyers with Jackson & Parkinson have tried over 100 cases to verdict and received hundreds of millions of dollars for their clients. To ensure that their clients have the best representation, the lawyers at Jackson & Parkinson are constantly honing their trial skills and many of the lawyers have participated in programs by Gerry Spence’s Trial Lawyer’s College and two attorneys are graduates of the Trial Lawyer’s College and one is a member of the American Board of Trial Advocates. To ensure that each case resolves for it’s maximum value, each case is prepared as if it will be tried to a jury. As a member of the U.S. Attorney’s Office, Brett prosecuted hundreds of cases during the 5 1/2 years he spent there. He can do the same for you and your case. 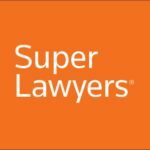 Attorneys at Jackson & Parkinson have been named in Super Lawyers, been awarded Trial Lawyer of the Year, and Outstanding Trial Lawyer by Consumer Attorneys of San Diego. Jackson & Parkinson represents individuals exclusively. At Jackson & Parkinson we pool our experience, time, talents, and resources to even the playing field of our clients against the big insurance companies. Jackson & Parkinson lawyers work tirelessly to ensure that each client is happy with the result of their case.